Elizabeth Ann Gardner was born December 12, 1925, to the proud parents of Mr. Henry Thomas and Mrs. Bernardia Thomas in Muskogee, Oklahoma. Elizabeth, her older sister Willie Belle, mother and father left Oklahoma and Moved to Kansas City, Missouri in the 1930’s, where she completed her Grade School and High School Education. Elizabeth accepted Christ at an early age and was baptized at a local Baptist church in the Kansas City area. 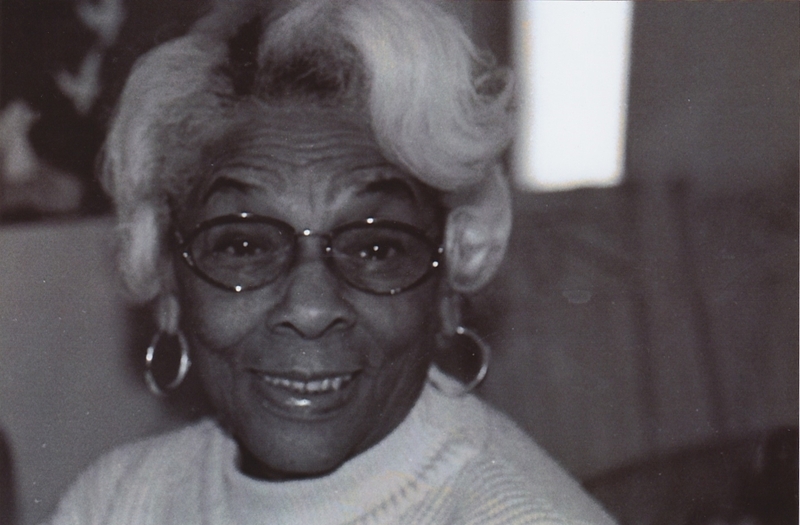 After High School Elizabeth came West to Oakland, California during the Great Migration of WWII to seek employment in the shipbuilding industry. Elizabeth became a welder at Todd Shipyard in Alameda. Soon after the war ended Elizabeth returned to Kansas City only to become a pillar of the African American Society in Kansas City, known for her beauty and fashion Elizabeth won numerous beauty contests throughout the Kansas City Area. Elizabeth was once featured in the Jet Magazine as the Model of the week and later was crowned the 1st African American Ms. America. In the early 1960’s Elizabeth returned to Oakland, California, and because of her vast knowledge of fashion and design she secured a position at Roots Atkins clothing store as a sales associate. Due to her charm and winning personality she became very successful in sales; so much so, that the owners of West Coast Furniture took notice and lured Elizabeth to go to work at their store. Elizabeth worked for West Coast Furniture for over 20 years retiring in 1991. Elizabeth moved to Sacramento, California in 1989, purchasing a new 3 bedroom home as a single woman. After retiring from West Coast Furniture Elizabeth worked part-time at a local clothing consignment shop in the Sacramento Area, where she worked until retiring completely in 1999. Elizabeth’s love for her family extended to her animals. From Peter the rabbit to two boxers Scooby & Brandy which roamed her backyard together on Thermal Street in Oakland, CA, to her dog Buddy and her two cats on Delta Leaf Way in Sacramento, CA. Elizabeth Ann Gardner was preceded in death by her mother Mrs. Bernardia Thomas, father Mr. Henry Thomas, sister Ms. Willie Belle, son Mr. James Edward Morell Jr., and great-granddaughter Tonecca. Elizabeth leaves to cherish her memory three grandchildren, Tanya Morell, James Edward Morell, and Chiyome James (Garnet). 8 great-grandchildren, Tonesha, Demetric, Tonasha, Toneya, Cory, Tanya, Raylon, and Dallas, 10 great-great-grandchildren and 4 great-great-great-grandchildren, Godson Frederick C. Watts (Val); along with a host of loving family and friends. There's still time to send flowers to the Celebration of Life at the Thompson Rose Chapel at 11:00 AM on April 22, 2019.